← Say Goodbye To Your Messy, Unorganized Office Space! You Can Leave Funny Messages That Only You and Your Loved Ones Get! Nothing is funnier than inside jokes! This holiday, make your gifts something to laugh over. Pour your favorite whiskey into the Nachtmann Vivendi Whisky DOF 4pcs Set that you’ll gift to your family and laugh over the personalized message you’ve engraved on it. With this 4 piece set, everyone will have a share of the beverage of the night and everyone will be giggling away over these funny little messages. Nothing is better than sharing laughs with your loved ones this holiday season and having something to hold on to in the many years to come. They Make Great Corporate Gifts! You can’t forget about your coworkers, bosses, and employees this season! Give them something to toast with when your company makes its next big success! Engrave your company logo or your employee’s name onto a Diamax Masquerade Whiskey Glass to make the most personal and special gift while maintaining you corporate identity. So let off some steam this holiday season, and gift this engravable item so that you can fill the glass up with Bourbon while filling your company up with success! They Are the Ultimate Wedding Gifts! With the wedding season going on, it is a no brainer the best gifts to give to the newlywed is something personal and from the heart. The great thing about barware is that it can be personalized however you’d like according to any special occasion. Gift the newly married couple with the Riedel O Cabernet Merlot Tumbler 21oz, Pair and engrave personalized messages for the bride and the groom. This ultimately wedding gift will have them laughing all throughout the night and will be cherished in the future when they look back on their spectacular wedding. The holidays are the best times of the year because it is a time when we come together with our loved ones and give thanks to those who have made this year incredible. 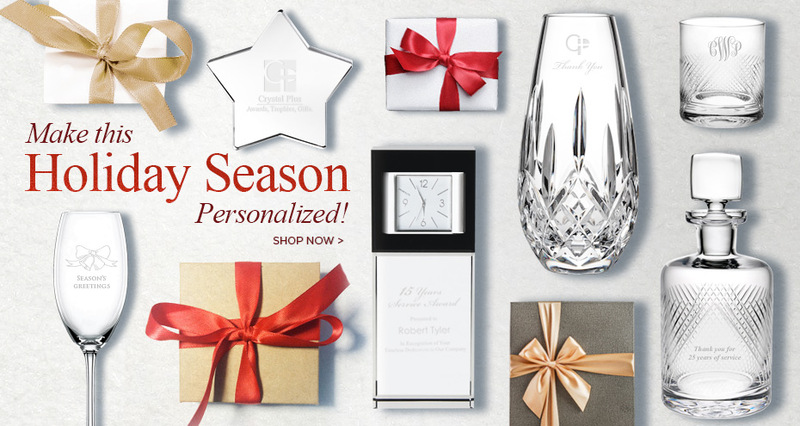 With these barware essentials at www.crystalplus.com, this season will exceed expectations and leave countless reminiscent memories. Now that you’ve got your shopping list ready, you can stress less about figuring out what gifts to buy and you can start making memories, one sip at a time!